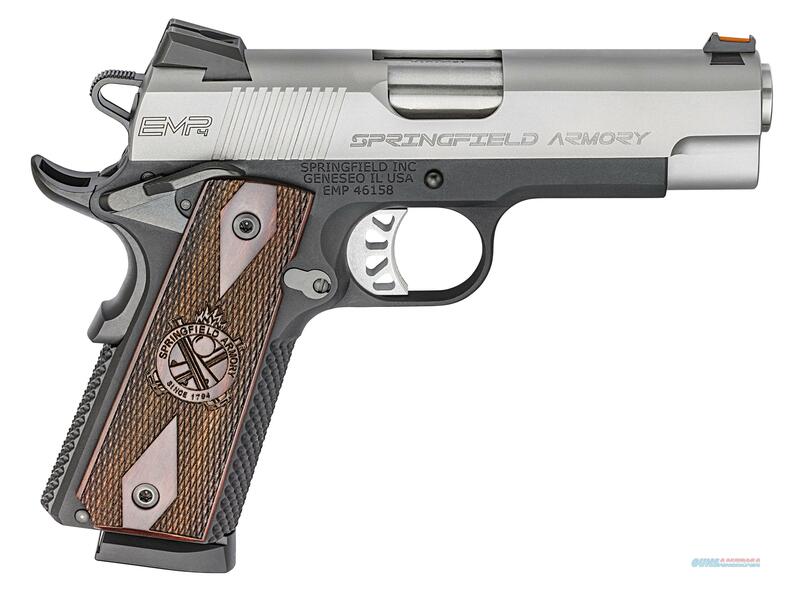 Springfield Armory® engineered the original EMP® with an all-new patented short action. Seventeen re-designed parts later, the EMP® came out a smaller, more comfortable, and more concealable package optimized for the smaller 9MM and .40SW calibers. Among the community of those who know, it has earned a reputation as one of the most shootable compact pistols ever. The all-new 4" Lightweight Champion™ offers a longer four-inch barrel that presents increased sight radius and more practical accuracy. Let’s not forget the extra velocity the longer barrel adds to any given cartridge. The EMP® 4" is loaded with extras like a fiber optic front sight and two-dot, low-profile combat rear sight for effortless target acquisition. Ambidextrous safety levers, a match-grade barrel, and Posi-Lock™ grip texture to the front strap add extra high value benefits for the serious shooter.